Tonight we are rooting for Renato "Babalu" Sobral who is fighting "Ruthless" Robbie Lawler at the Strikeforce LIVE. 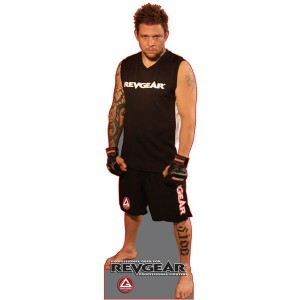 Revgear also sponsors Evangelista Cyborg who is going to face Marius "The Whitemare" Zaromskis in a welterweight contest. Revgear will be there! We are going to watch the fight live at Nokia Theatre in Los Angeles, CA. You can watch Strikeforce LIVE on Showtime.